412 pages | 114 B/W Illus. Military supply chains are unique because what is supplied to the end user is routinely returned to the supply chain for maintenance, repair, and overhaul (MRO). Offering a blueprint for transforming military depot workload and processes into those of high-performance commercial facilities, Enterprise Sustainability: Enhancing the Military’s Ability to Perform its Mission provides a powerful system of concepts and tools for enhancing the ability of the military to perform MRO on its weapon systems. 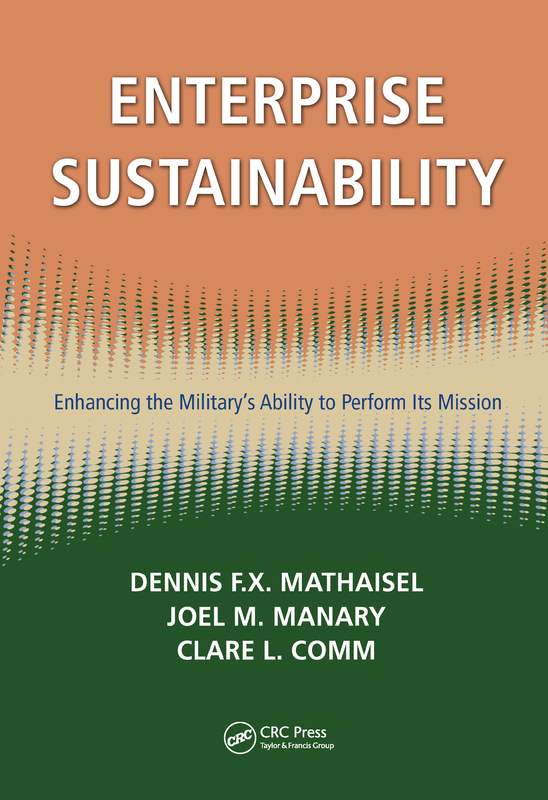 These concepts and tools are applicable to any enterprise, military or commercial, that is concerned about sustainability. Aging weapons systems, an aging workforce, limited financial resources, new technologies, and an increased military operational tempo demand that the military develop an aggressive transformation plan for its sustainability. This book follows An Architecture for a Lean Transformation, the first in a series dedicated to the sustainment of an enterprise. In this second volume, the authors continue to provide an analysis of, and prescription for, the strategies, principles, and technologies that are necessary to sustain an enterprise like the military and the weapons system it develops and utilizes. Dennis F. X. Mathaisel is professor of management science in the Department of Mathematics and Science at Babson College, and holds a doctor of philosophy degree from the Massachusetts Institute of Technology. Joel M. Manary is the lead systems engineering subject matter expert in the Systems Engineering Process Office (SEPO), a staff agency supporting SPAWAR Systems Center Pacific in San Diego. He holds a master’s of science degree in logistics and systems acquisition management at the Air Force Institute of Technology. Clare L. Comm is professor of marketing in the College of Management at the University of Massachusetts–Lowell, where she specializes in services marketing and buyer behavior. She received a PhD in marketing from the University of Cincinnati.